Have your ingredients ready. 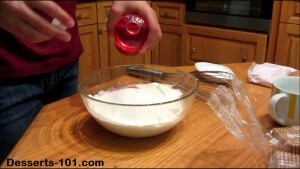 Place the room temperature cream cheese into a bowl. Add the sugar and rum extract. 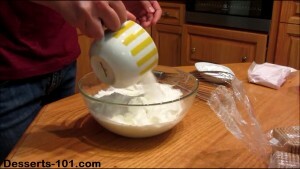 Add the sugar to the spreadable cream cheese. 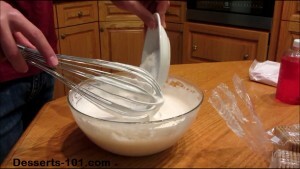 Mix together until the sugar dissolves. Add the pudding mix, mix unit it dissolves and the cheesecake thickens. Set up for assembling the cheesecake section. 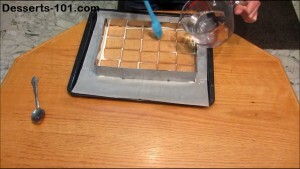 I place a quarter sheet pan extender on a piece of parchment paper on top of a half sheet pan. 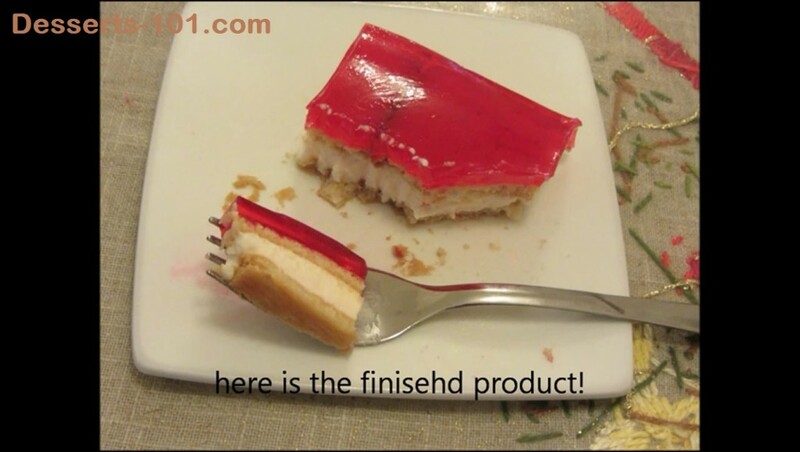 If you do not have a pan extender, use a 9-inch x 13-inch (23 cm x 33 cm) cake pan. Add in the vanilla pudding (4 serving package); mix well. Layout to assembly the cheesecake. 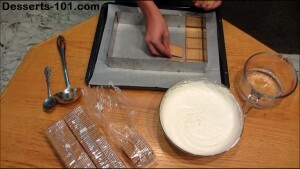 Spread a layer of Leibniz Butter Cookies (or graham crackers) over the bottom of the pan. Sprinkle with water to moisten. 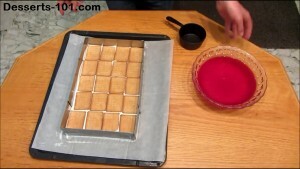 Spread the cheesecake filling over the crackers and level. Place a layer of crackers down first. Spread the cream cheese mixture over the crackers and smooth. Top the cheesecake layer with a layer of butter cookies. Sprinkle the butter cookies with some water. At this point, freeze the cheesecake layer 10 to 15 minutes to set firm. 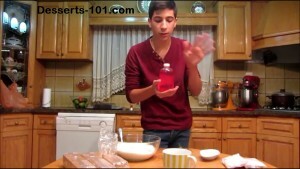 Prepare the gelatin following the quick set instructions in the recipe. Place another layer of crackers on top of the cheesecake layer. Lightly moisten the crackers with water. 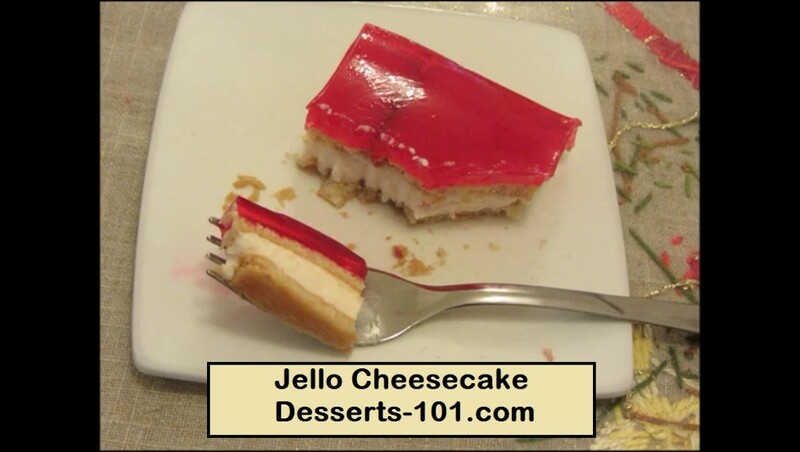 Place cake in the refrigerator to firm up while you make the jello and it cools. Remove the cheesecake layer from the freezer, Spread the gelatin over the cheesecake layer. 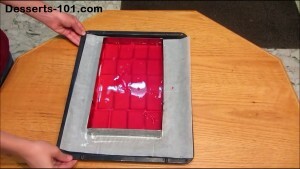 Once all the gelatin has been added, refrigerate until the gelatin is set, at least 4 hours. Cut with a hot knife. Ladle the jello over the crackers. 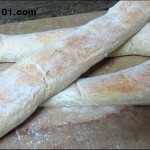 Place in the refrigerator to firm up. 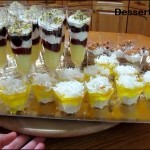 Hope you enjoy this simple delicious dessert. 1 cup cold water and enough ice to make 2-1/2 cups. 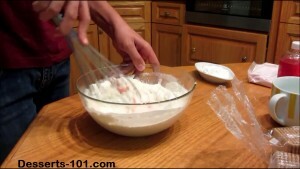 Place the room temperature cream cheese spread in a bowl. Add the granulated sugar. Mix well sugar is dissolved. Add the instant pudding mix and the rum extract. 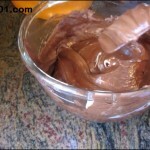 Mix until the pudding is dissolved and starting to set. Prepare you pan. I used a half sheet baking pan lined with a piece of parchment paper and a pan extender so I could life it off for a beautiful presentation. 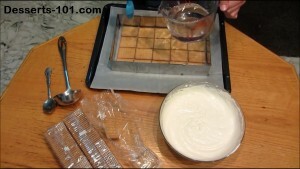 If you do not have this set up, just use a 9x13-inch glass pan or a baking pan. Cover the bottom with Leibniz Butter Cookies (Keebler buttery club crackers, graham crackers, butter cookies, etc), Sprinkle the butter cookies with some water to help moisten. Spread the cheesecake mixture over the butter cookies and level. 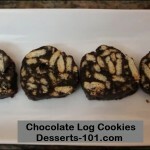 Top with a layer of butter cookies. Sprinkle with water. 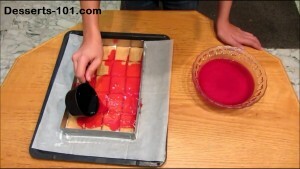 Place the gelatin packages into a mixing bowl. Add 1-1/2 cups boiling water. Stir until the gelatin has dissolved, about 2 minutes. Mix 1 cup cold water and ice cubes to make 2-1/2 cups. Add to the gelatin. Mix until slightly thickened. Remove remaining ice. Continue with Assembly. Remove the cheesecake layer from the freezer. Ladle the gelatin over the crackers. Cut with a hot knife. Note 1 - Homemade spreadable cream cheese can be made by mixing regular brick style cream cheese (the foil rectangles) with 2 to 4 tablespoons of cream or milk foe each 8 ounce package of cream cheese. Use more or less until you reach the consistence you desire.